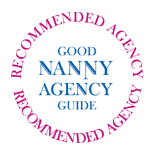 We try to keep our Fee Structure for booking Nannies simple and realistic, and we don't charge anything until you have met and chosen your Temporary Nanny. We do not have a minimum booking - no job is 'too short'. For example, we regularly place Temporary Childcarers for 1-2 days, as well as 1-2 months. Agency fees are payable 10 days after confirmation of employment, or for short notice bookings payment is due on booking. Maternity Nurses - £160 - £280 per 24 hours.